Andrew Durham, a consultant social work practitioner, describes his original research undertaken with young men close to or in the midst of adolescence. 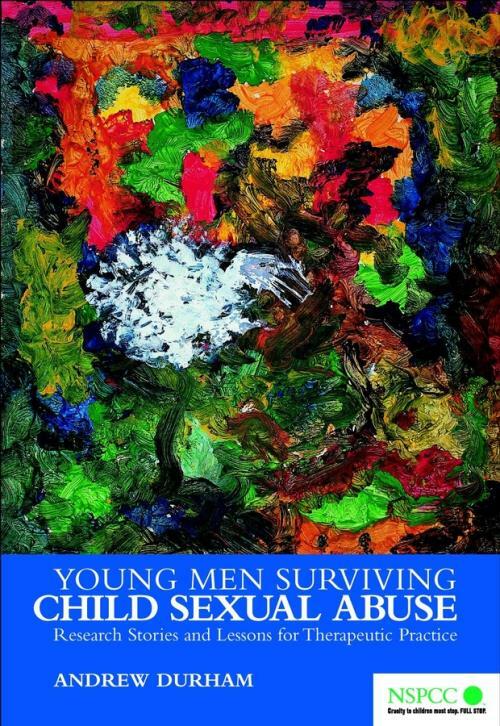 The book features extensive narrative, as the life–story approach taken allows the young men to theorise their own experience and to understand how and why child sexual abuse has had a harmful and long–lasting impact on their day–to–day lives. Andrew Durham has a PhD in Applied Social Studies from the University of Warwick that researched into the impact of child sexual abuse. He also has the Advanced Award in Social Work (AASW). He has over 20 years experience of providing therapeutic services to children and young people and is a specialist in post–abuse counselling and interventions for children and young people with sexual behaviour difficulties.